The electronic inverter allows the linear speed to be varied from 20-40m/sec. The electronic feed control system guarantees constant diamond wire tension which increases the life expectancy of the diamond beads. The 360° rotation of the flywheel holder head is motorized and allows simple and quick positioning of the machine and permits two paralled cuts 1600mm apart without moving the machine. Both horizontal and vertical cuts can be made. 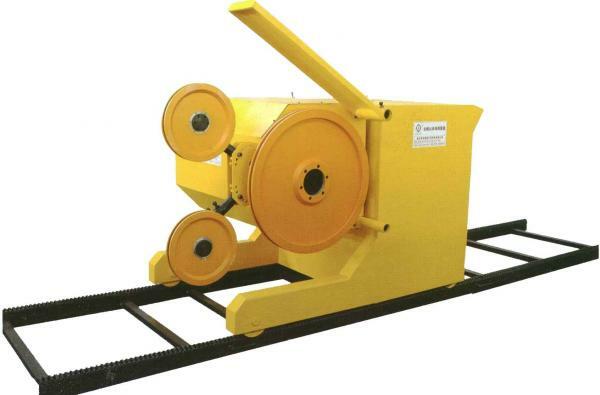 Uniquely designed feed system has a central rack with gears on steel cylinders, which is maintenance free, mounted on the rail which avoids slipping due to mud deposits, and permits accurate positioning of the machine even on steep slopes. 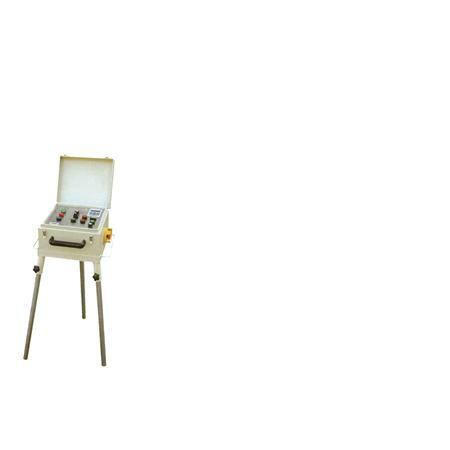 Diamond wire saw for cutting granite, marble, sandstone, reinforced concrete and rock. A rugged, reliable machine that is simple to operate, yet is very efficient.